foreground plant or for use in a nao Aquarium. 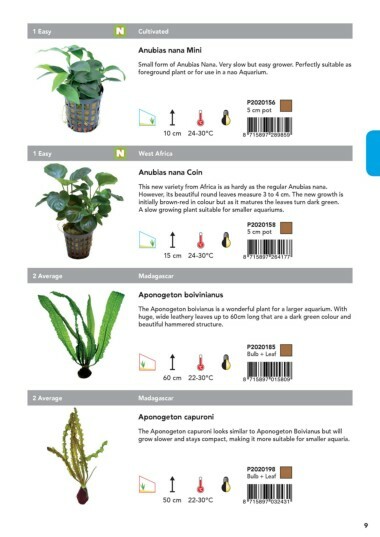 This new variety from Africa is as hardy as the regular Anubias nana. initially brown-red in colour but as it matures the leaves turn dark green. A slow growing plant suitable for smaller aquariums. grow slower and stays compact, making it more suitable for smaller aquaria.